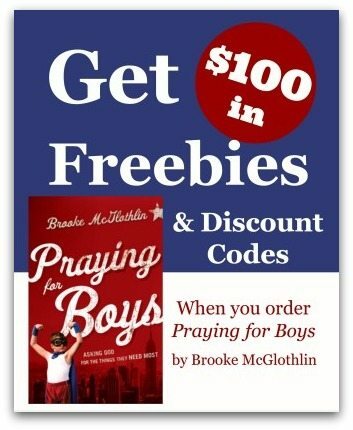 Get Over $100 in Freebies & Discounts When You Pre-Order Praying for Boys! You read that right! Every single person who pre-orders Praying for Boys: Asking God for the Things They Need Most will get this amazing package of freebies and discounts! A FREE download of the Covering them from Head to Toe Prayer chart, from Finding Eden Media! This chart is so handy as you’re going through the 5-day Praying for Boys: Covering them from Head to Toe challenge! Print it out and hang it on your mirror to remind you to pray! A FREE download of the Boy-Pleasing Snacks PDF, from Janelle, at Comfy in the Kitchen! Janelle has put together some of her favorite, healthy snacks to feed your brood of boys! 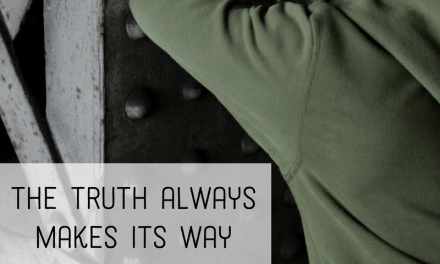 A FREE download of 25 Scriptures to Help Fight off the Lies, from me! Ever feel like you need help remembering what God’s Word says, so you can apply it to difficult situations in life? This download is for you! A FREE download of 20 verse cards to memorize while you’re praying for your boys! Angela, from Good Morning Girls, designed these beautiful cards just for you! A FREE download of Top 15 Mother/Son Dates, from Karen Ehman and Glennis Whitwer. Karen and Glynnis, both experienced moms of boys, have put together a list of 15 fun ways you can spend time with your son! A FREE download of One Day She’ll Marry Him, from Teri Lynne Underwood! Teri Lynne is the mother of one daughter, but she prays fervently for her future son-n-law! 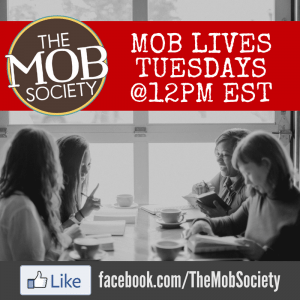 A FREE No More Perfect Moms MP3 from Jill Savage, of Hearts at Home! A 20% discount to the Studio JRU art shop! Grab one of the beautiful scripture prayers based on Praying for Boys, or one of Studio JRU’s other beautiful art pieces! What a great discount, just in time for Christmas! 1. Pre-order your copy of Praying for Boys: Asking God for the Things They Need Most. You can grab it at Amazon, Barnes and Noble, or any of your other favorite online retailers. If you’d like, you can also read a sample chapter of the book! 2. 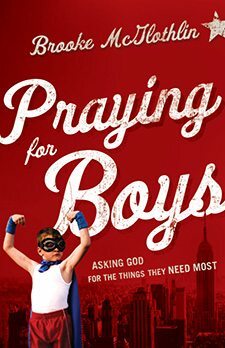 Once you’ve pre-ordered Praying for Boys, please forward a copy of your receipt to prayingforboys (at) gmail (dot) com. 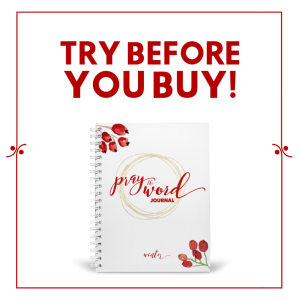 If you decide to buy multiple copies (maybe for a friend, or your book club?) you can gift the freebies to all of them! And right before Christmas…what great timing! 3. You’re done! Once you forward your receipt to the email address in step #2, you’ll get an automated email giving you access to all of your freebies and discounts! Thank you so much for encouraging and supporting this book launch, friends! I’m so grateful for the role you’ve played in making it a success. God is using a generation of women to change the world through their prayers, and you’re one of them! If you haven’t already, consider signing up for the 5-Day Praying for Boys: Covering them from Head to Toe Challenge! NextMy Gift to You: Lower Your Expectations. Now Exhale . . . If we already sent our proof of purchase, will we automatically get the email of freebies? Or do I need to send it again? Thanks! Hi Rachael. If you still have the email you got with the link, everything will be there. Check and let us know?